Do you have an Xbox Live account? Did you know you can look up your reputation? 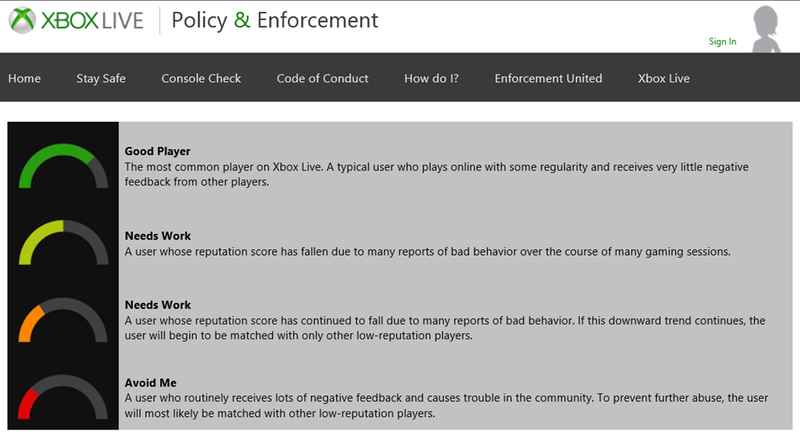 Visit the Reputation Web Page to see what reputation & feedback your Xbox Live Account has gotten.